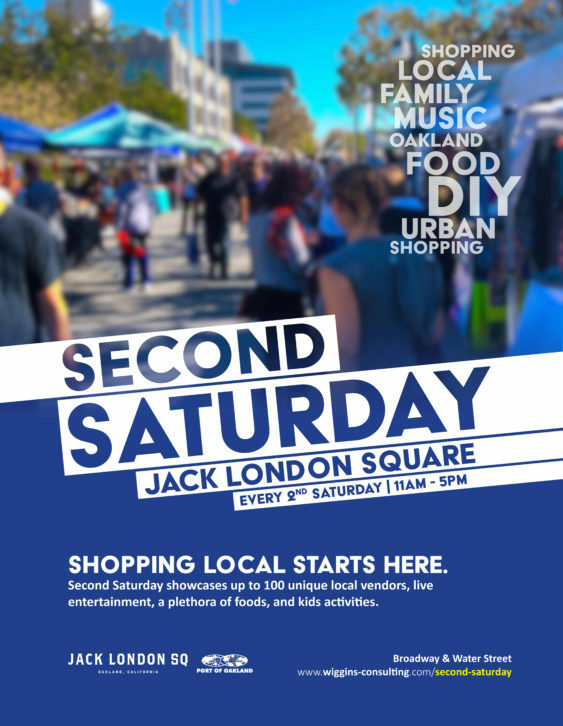 Serving as Jack London Square’s flagship monthly event, Second Saturday is held every second Saturday. This full-scale family event is marketed and promoted by both Wiggins Consulting and Jack London Square. Second Saturday brings in immense audiences as it showcases up to 100 unique vendors, features live entertainment, a plethora of foods, and children’s activities. Special: AudacityFest will be going on at the same time. AudacityFest will feature over 1200 attendees from across the country as they host panel discussions and travel giveaways. Also, ESPN will be in attendance shooting their b-roll for Monday Night Football. Scenes from Second Saturday will be aired on Monday Night Football.